Modern Reiki often referred to as Western style Reiki is the most common form of Reiki that is taught in the UK. Western Reiki was introduced to the west by a lady called Hawayo Takata. Takata was taught Reiki by a Japanese teacher called Dr Chujiro Hayashi. 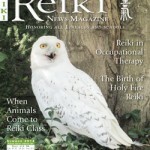 The most commonly taught Styles of Reiki are either Usui Shiki Ryoho or Usui/ Tibetan Reiki. Both of these styles primarily focus on the hands on healing aspect of Reiki, whether that be for self healing or hands on healing for the benefit of others. Given that the focus is mainly on hands on healing we can say that modern Reiki is very much an external practice. Simply connecting with the Reiki energy and allowing yourself to channel the Reiki energy through you into either yourself or someone else. Although this is how simple Reiki is, it can be made much more complex by certain teachings. During a Western Style Reiki course hand positions are taught for both self healing and hands on healing of others. There can be little emphasis on self healing being a daily practice with some Teachings. At the Navitas Centre we stress the importance of continued daily self healing practice. Unfortunately, the self healing part of Western style Reiki is slowly becoming extinct, due to more and more teachers focusing on Reiki as healing others and also the fact that in our culture we often extend a hand to help others before helping ourselves. Modern Reiki teaches the most commonly known energy system of Chakras, with a focus on using Reiki to align or balance these energy centres. Levels two & three of Western Style Reiki teach symbols and mantras that can be used to change the energy externally. One of these symbols is a distant healing symbol that enables distant treatments to be carried out. Western style Reiki is often taught over one or two days per level. There being either 3 or 4 levels, depending on the Reiki Teacher and the lineage. What is missed though, is that although the basics can be taught in a day or two, it can take a long time to master the practice itself. This is unfortunately where some people lose confidence with Reiki, because as with any practice, it takes time. 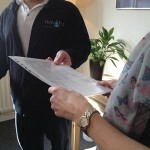 Many people who have learnt modern Reiki will testify to it being one of the most amazing things they have ever learnt. Many will say how it came into their lives at a time when they needed it most, and will probably also say that it has, in some way, changed their lives. However, many begin to feel the need or urge for a deeper practice. Which is probably why many of those who have learnt Reiki feel the need to go on to learning many other forms of energy healing in search of a deeper understanding of energy. That deeper understanding can be found through Japanese Reiki. Traditional Reiki is slowly becoming popular, this is due to the statement above. Many Reiki practitioners want to go deeper into understanding the energy. They want to find a practice that can help them find out who they really are and align themselves to their true selves. Traditional Reiki is a spiritual practice that is more of a lifestyle, the focus being primarily on the self, i.e. if you can’t heal yourself, how can you heal others? However, it is more than that. It is path to truly understanding that we are all interconnected and that the spiritual energy is within us and all around us. This sums up what Reiki as a practice is all about. During a traditional Japanese Reiki course you will be taught the Japanese energetic system, which focuses on the Hara (also known as Danden and Tandien). You will also be taught how to feel earth and heavenly energy, which is the Japanese energy system. This is done by learning Reiki energy meditations. The meditations are very traditional and incorporate breathing techniques to help to cultivate the Hara. This builds the foundations for a stronger and more connected feeling to the Reiki energy. 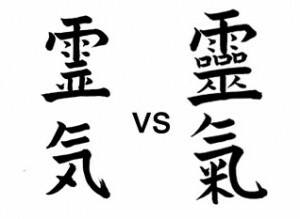 Levels 2 & 3 also teach symbols and mantras just like the Western style. However, the difference being that the symbols and mantras are seen as training wheels. During these levels the symbols are visualised and the mantras are chanted, creating the right environment internally and externally to really feel and become that vibration of energy. There is more focus on the precepts and how they intertwine, allowing true understanding of their nature. Japanese Reiki also teaches hand positions for self healing and the healing of others. The hand positions however, are seen as a framework to develop upon. The aim being to move away from the framework and to work more intuitively, allowing the energy to guide you to where it is needed most. Both systems of Reiki are amazing and can have powerful and profound effects on your life. As both systems are a practice, they will both require a commitment on your behalf to truly allow Reiki to help you with what you need. Whether it simply be self hands-on healing daily or working with the spiritual aspect of the practice.